I am an organized person. I’ve been known to get emotional when I see a well-organized calendar or a good-looking to-do list. However, sometimes I need to up my game. Typically, I keep my days running smoothly with Google calendar and Post-Its, but around Thanksgiving last year, I found my current system insufficient. With the sudden addition of new time-sensitive projects and the added responsibilities the holidays bring, I felt overwhelmed. I had three specific workflows that I needed help organizing into my existing work-life as a writer who regularly writes three to four articles a week and is also writing a novel I’m trying to complete by August 2018. Meanwhile, there were also Christmas gifts and travel, a writing fellowship application (due Dec. 31) and a baby adoption application (due Jan. 30). The situation presented a prime opportunity to test out one of Sheryl Sandberg’s productivity hacks I’d come across while researching her for a different article. The 48-year-old Facebook COO's hack is basic: using an old spiral notebook to write down various to-do lists. Those I imagine include work-related tasks, household and family-related ones, daily (ongoing), one-offs and big picture projects. When she’s done with everything on the page, she rips it out. As I said, it’s basic. It’s also a control freak’s dream come true. Putting all your to-do lists in a single place gives you a mission-control perspective. I bought a neon-green spiral notebook, named it “Sheryl” and my productivity experiment was on. 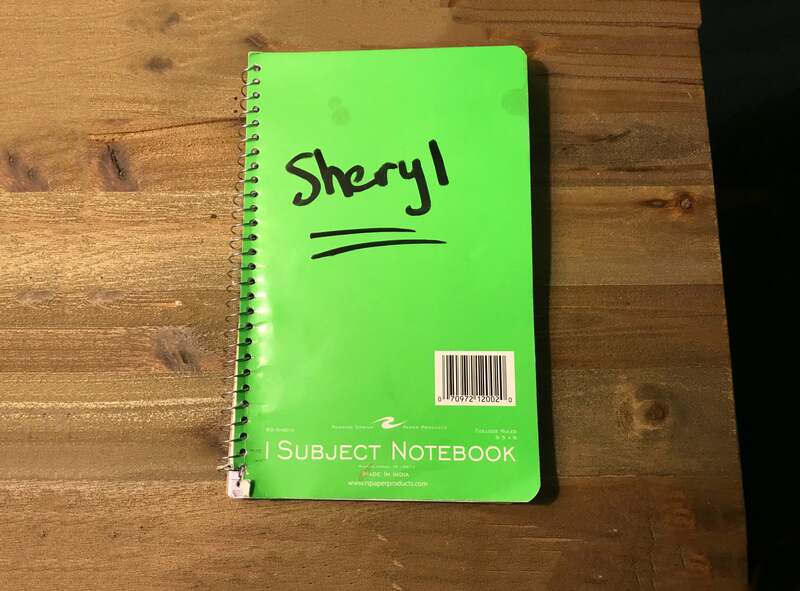 The bright green spiral notebook named "Sheryl" that serves as mission control for all my to-do lists. To start off, I had to establish what my workloads were, so I wrote down all the deadline-related workstreams I could think of in my Sheryl notebook. Then, I wrote out deadlines and steps to complete each. It’s a hack that allows for a lot of autonomy in the sense that the Sheryl notebook obviously doesn’t make judgment calls on priorities or understand how long each tasks takes -- you’re in charge of that. Here’s how my 30-day experiment went down, along with my five big takeaways. The biggest change I noticed during my first week is that I started going to bed later than usual, even though I was waking up at the same hour. Simple math: Having additional work meant I either had to do less in other areas or build more time into my day. The Sheryl hack was immediately helpful for the adoption application. I wasn’t familiar with how long certain steps would take, but one of the requirements was to provide my birth certificate, which I got started on immediately. I was born in Quebec and wasn’t sure how to get a copy and how long it would take, so I spent my mornings pursuing leads. The adoption agency told me to try the Canadian consulate. 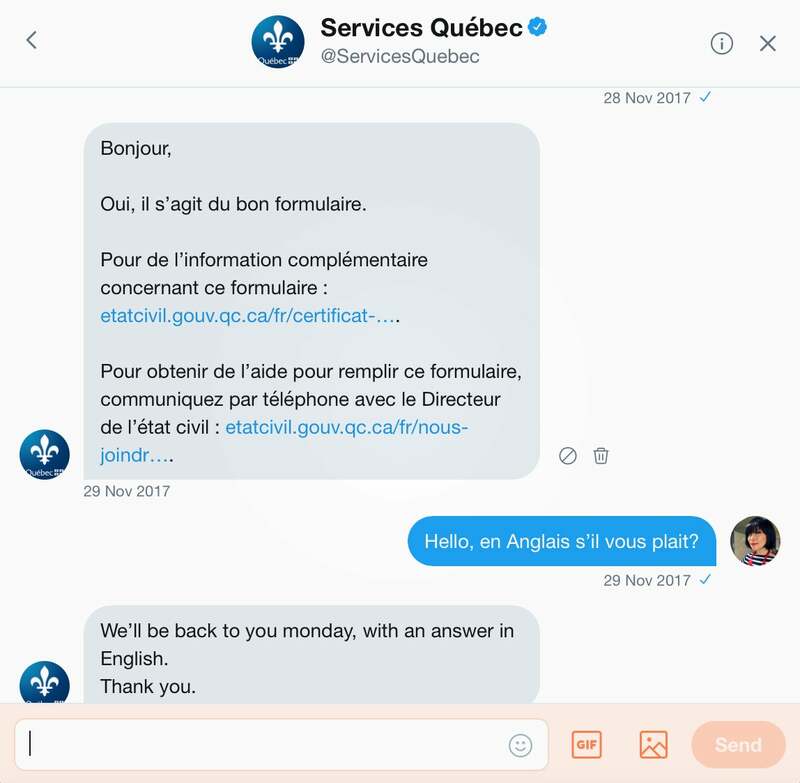 The Canadian consulate told me to try the Quebec Director of Civil Status, who replied to me in French when I reached out over Twitter. By the end of Week 1, I still didn’t have a clear answer on how to get a copy of my birth certificate. Reached out to the Quebec Director of Civil Status to get confirmation on the form to be be filling out for a copy of my birth certificate, and I forgot about the language barrier. On the other hand, the notebook didn’t impact what I was already used to doing. As a freelance writer, I was accustomed to writing down my assignment-related tasks. What surprisingly was helpful was to write down more mundane to-do items, such as taking 30 minutes to eat lunch and 20 minutes to walk the dog twice a day. When I’m focused, I can neglect these things. Takeaway: This hack immediately helped me see the nuts and bolts of what I needed to do for some larger-scale projects with definitive deadlines. The second week of my experiment was marked by two holiday parties (naturally, one at Entrepreneur’s New York City offices) and some tweaks to the notebook system. I was having trouble cutting myself off from the to-do lists and was going to bed at an hour that reformed sleep advocate Arianna Huffington would disapprove of. I started doing two things to make the hack work better for me. Before bedtime, I wrote down the next day’s to-dos sorted in columns by urgency: “Must,” “Should” and “Would Be Nice.” I also created a 7 p.m. cut-off time from the list. I could only continue working after 7 p.m. if my “Musts” weren’t complete. This is a mock-up of what I began to do by Week 2. I was starting to feel like I had to finish everything on each list everyday, so I created columns ranked by priority. Another adjustment made was my wake up time. I was trying to pack a lot into my days, and I didn’t want to cut back on my freelance writing assignments, so I forced myself to wake up an hour earlier and used that hour to work on tasks outside of my typical workflow, such as the adoption application. I had finally tracked down the form to fill out for my birth certificate from Quebec, gotten confirmation from the Director of Civil Status that it was the correct one (en Anglais) and done what I needed to do on my end. I filled out that form and mailed it off -- and was able complete additional adoption-related tasks, such as the five-page medical history questionnaire and scheduling an appointment for a physical exam and fingerprint clearance. The other long-term project I started was an application for a fiction writing fellowship. For the most part, the application itself wasn’t challenging: resume, a paragraph about what your writing about, personal references and professional accomplishments. The time-consuming part was editing and polishing 20 pages of fiction material. For me to effectively edit a big project, I like having a recurring block of time over a series of days -- not just an hour or two scattered here and there. I typically work on my freelance writing during the afternoons and my novel in the morning, but I reorganized my weekdays so that Mondays and Fridays were entirely devoted to writing and editing for the writing fellowship, and Tuesdays, Wednesdays and Thursdays were devoted to my freelance writing gigs. Takeaway: This hack helped organize my time according to priorities and better see where I needed to put in more time and where I could put in less. This week was marked by panic. I still had to check off a lot of to-dos related to the holidays, such as almost all of the gift purchasing, in store and through Amazon, as well as making sure the building staff and service people got holiday tips -- that sort of thing. Also, I had foolishly told my husband and everyone in my family (and his) that I was making delicious, handmade treats this year as gifts, and I hadn’t made any progress on that front. The other source of panic stemmed from my lack of progress on the writing fellowship application, due Dec. 31. I was only halfway through editing my 20-page writing submission and had a better understanding of how time-consuming the task was -- hence my panic. I’d made a list of all the people to buy gifts for and did a Amazon shopping spree over the course of two days early in the week. (Next year, I’m going to use this notebook method and plan to do my shopping in August, always a slow month.) What I found is that the notebook hack helped me stay on track and adjust where I needed to focus, but it didn’t enable me to multitask. I’d tried, one day, to research and write an article while also making lemon-flavored holiday biscotti with white chocolate. Don’t bake and write. I failed to hear oven timer go off and burned the entire batch of biscotti and nearly wept. I had to make up for it by making three more loaves of biscotti another day, with my full focus, in order to have enough to gift in time for the holidays. Hey, it only took five hours. 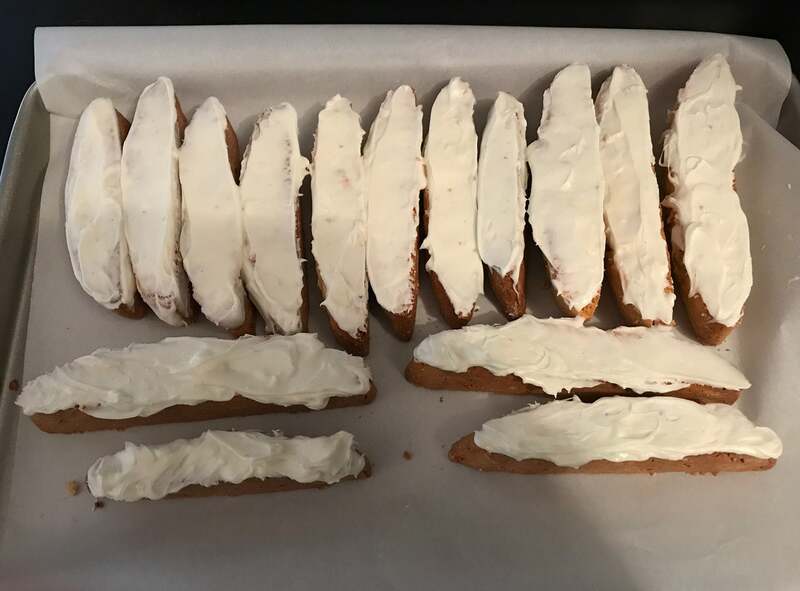 My decision to give homemade twice-baked lemon, white chocolate biscotti as Christmas gifts was pretty time-consuming and required more planning and attention than I'd anticipated. During the week, I had managed to schedule a date night with my husband (tapas), went to see a Downton Abbey exhibit with my sister, went to two appointments related to my adoption application: fingerprinting clearance and a physical exam. I also received my birth certificate (from week 2) in the mail -- which I had forgotten about. But for the majority of the hours in the days leading up to the New Year, I shut myself up in a room and devoted myself to completing the requirements for the writing fellowship application. 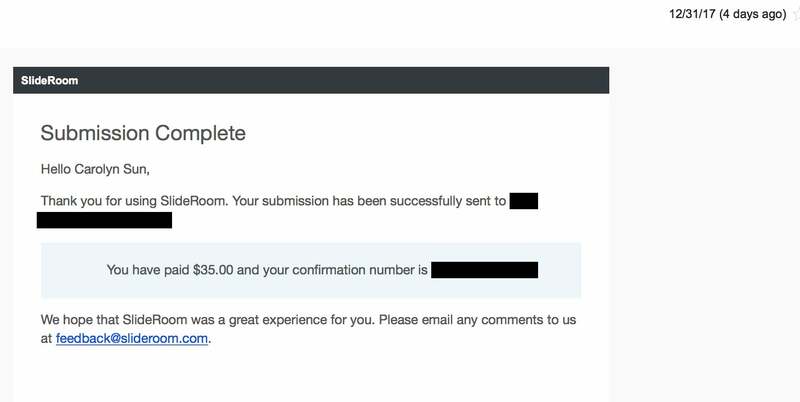 On New Year’s Eve, I finally submitted my fellowship application online -- and then my husband and I left for our dinner celebration. We had planned to eat dinner at the Grand Central Oyster bar, one of our favorite old-timey haunts decorated in mahogany and brass. We left early, figuring we’d beat the New Year’s Eve dinner crowd, and once we arrived, we found it was closed. Duh. I hadn’t made reservations and neither had my husband. Suffice it say, it hadn’t occurred to either of us to check if the restaurant was open. “I’m disappointed,” my husband said. “You need to get a notebook to write stuff down,” I said in return. Takeaway: Focusing too much on what’s in the notebook can make other things slip through the cracks. Overall, the notebook hack was helpful. I’m going to continue using it. Seeing projects broken down into steps and understanding what I needed to do each day was an incredibly useful way for me to organize my time, particularly during what was a really hectic December filled with parties, gift errands, traveling, seeing family and irregular business hours. However, in my case, seeing responsibilities plainly in writing made me overly focused on what was in the notebook, at the cost of what wasn’t there. On New Year’s Day, the day after I hit my big fellowship deadline, my husband confessed that he had felt lonely during my 30-day experiment. I felt awful. “Why didn’t you tell me?” I exclaimed. “You were so busy doing stuff and meeting deadlines, I didn’t want to mess you up or get in your way,” he said. Hearing this was a wake-up call. Productivity feels good, but it’s not the be all end all. My next big deadlines are Jan. 24, for another writing fellowship, and Jan. 31, for the baby adoption application. 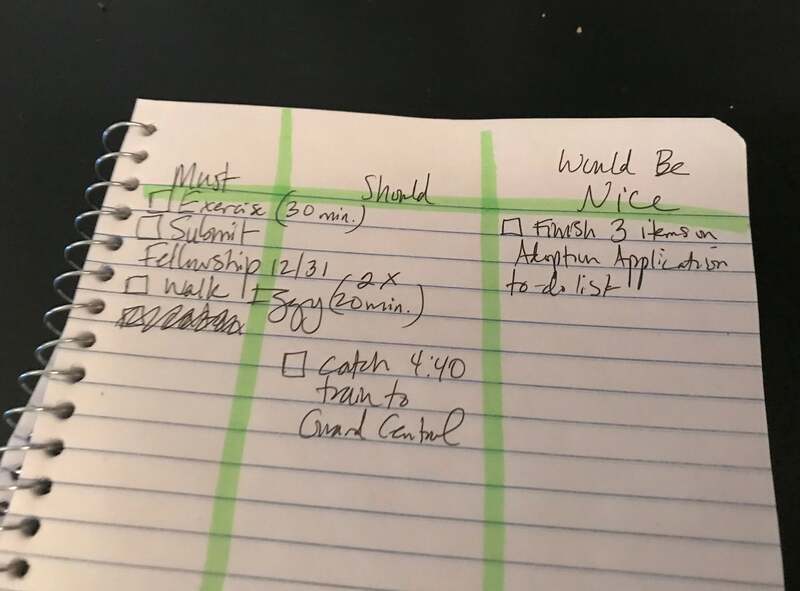 I’ve added a tweak or two to the hack, including writing down activities with my husband into the notebook, under the “Must” column. Takeaway: Productivity is important. But so are your family and friends. Write them into your notebook if you need to.